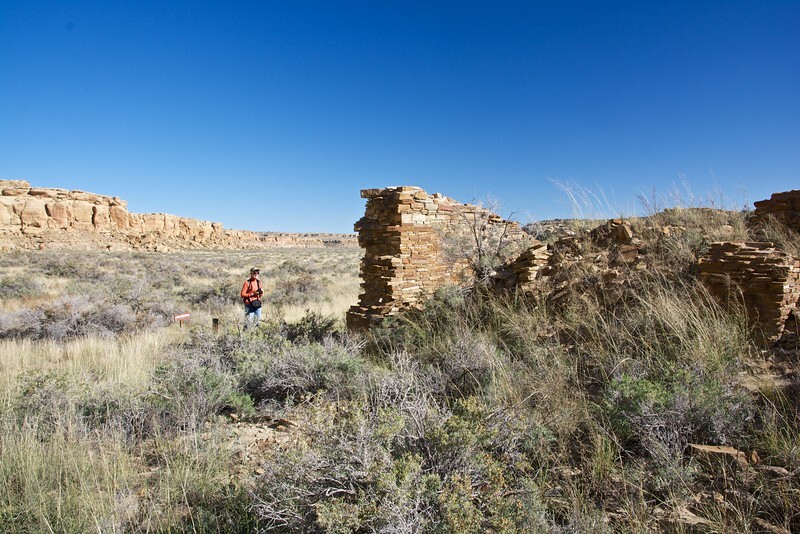 It's been awhile since we visited Chaco Canyon National Historic Park, and Sue has learned much more about Ancestral Puebloan and Chaco culture in particular. So in late October, as soon as the government shutdown caused by Congress's failure to enact a budget bill was over, we headed there for a weekend of hiking and archeology. We had wonderful clear weather, though cold mornings, for our explorations.